Published on May 13, 2014 by Louis C.K. 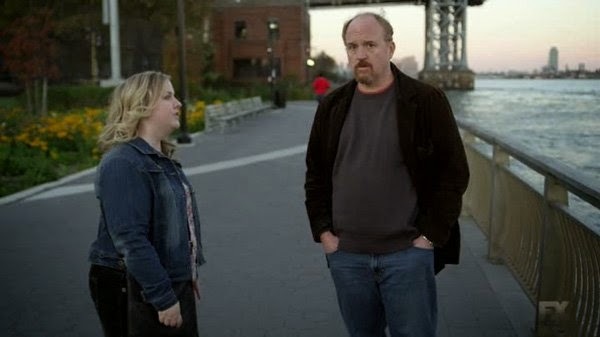 The great Sarah Baker delivers this last scene from episode 3 of LOUIE. Ladies, please throw out your magazines and stop letting some unknown fashionista dictate size zero as being an ideal goal. As a man, I don't want to hug skin and bones. As a man, I am attracted to confidence. And as a man, I am going to less concerned about what you've got and more concerned with how you use it. We are far more than just our looks. A pretty package may catch our eye but it's the contents which keep us coming back.